Have you or your child ever gotten an autographed basketball and wondered how exactly you were going to display it? 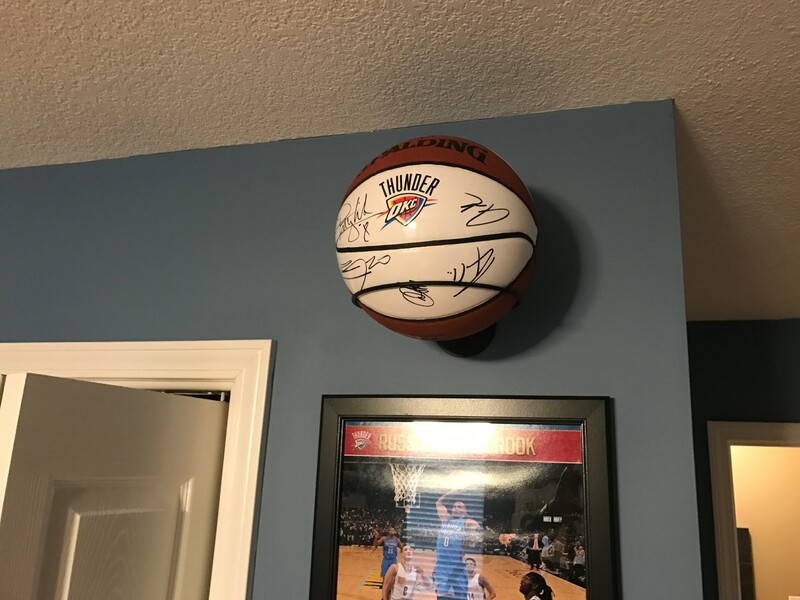 My son got a Thunder basketball signed last month (ironically mostly by Spurs players, lol) and he wanted to show it off in his room. The problem? Well he didn’t have a lot of desk space and all the glass cases for basketball display were kind of expensive, more expensive than the ball itself. Very reasonably priced, way cheaper than the display cases. When I got it in, it came with the hoop, 4 screws, and 4 drywall anchors. Since I was only using the hoop for display where it wouldn’t be disturbed, I didn’t use the wall anchors and just used the screws (for now at least, if it weakens some then I may be forced to go the anchor route). How does it look? Pretty awesome in my opinion. My son was also very happy with it. 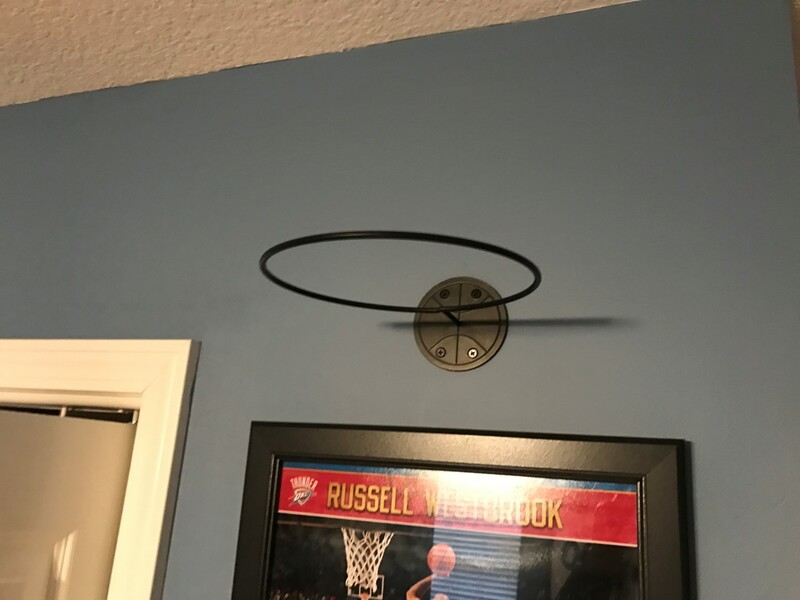 The only thing I noticed that was a little weird is that the hoop didn’t seem to be perfectly aligned with the mounting bracket, which means to get perfectly level your screws might not be perfectly level either (or you could bend it possibly if that bothers you). I just decided to mount it as is and just live with the slight screw unevenness. I really can’t believe that nobody had come out with this product before, it’s really quite ingenious. Probably the biggest downside of this is that your basketball will eventually get dusty, but so would a display case.